Rules are to be challenged. 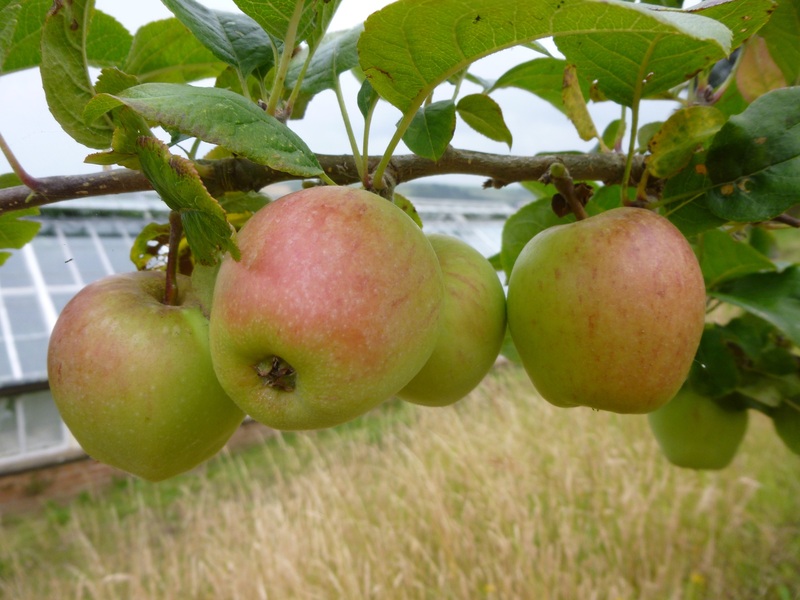 This post is especially for the nurseryman who, when asked for advice of apple varieties for our conditions – coastal, north east facing, suggested I move house. Did I take any notice? Of course not, after all it isn’t my house to move from. Here is our first crop of Orange Pippin and very beautiful they are too. You are absolutely right! Close your ears to “advice” like that. They look like apple pie to me! Yum.